This is a big pack containing 77 absurd and strange creations, from pizza to earplugs. Ive really gone haywire with my creative freedom, and now i want you to join me. Some creatures come with custom abilities as well. If there is one creature in this pack that you cannot load, dm me or contact me on the SMC discord if youre there at Sneaky Zucchini#0829 and i will try to help you out. make sure you check if you have the mods listed above installed before you ask! Dayum, some high quality stuff here. Some of the creatures won't load and the rest aren't showing properly. I downloaded all the mods listed. Last edited by Olyenka on Fri Apr 12, 2019 10:38 am, edited 1 time in total. I really just downloaded all the cat creatures for now. "hehe" and "squat" won't download at all. The Halloween Cat is the main one that isn't showing correctly. Also the owo cats. EDIT: It looks like I am missing a couple of the mods: Colorable grox armor and PSI's unparented foot and hand mod. I dunno how I ended up forgetting them but I digress. Can you give me the download links for them, please? Yeah i figured as much.. 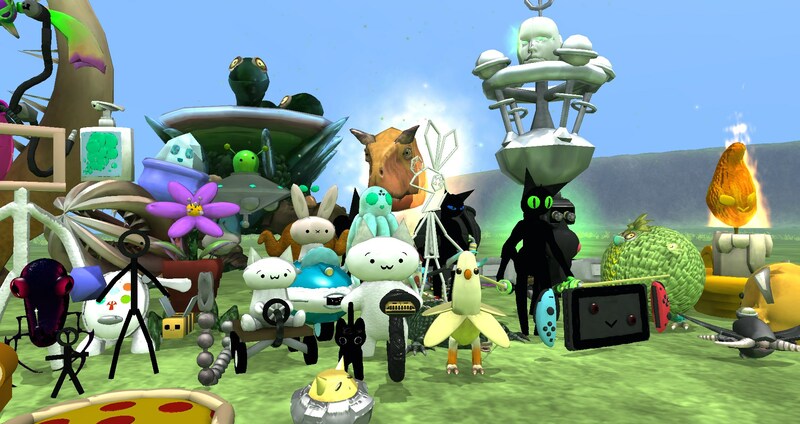 These mods can currently only be found in the spore modding community discord server. you can find the invite link in the global announcements. Discord won't work on my machine and the web version is blocked. I might be able to get my dad to try and reinstall it but I dunno. I've noticed the movement on some of the creatures are a bit... how you say... Peculiar?